Welcome to TCM's June Release Blog Hop!!!! If you've arrived from Amy Wanford's blog, then you're in the right place! FOR YOUR CHANCE TO WIN ALL OF THE STAMPS FROM THIS RELEASE!!!! Before we get to the blog hop details, I want to share my projects I've created with the beautiful Lovely Labels 14 stamp set designed by one of our newest stamp designers, Elizabeta Kushner! 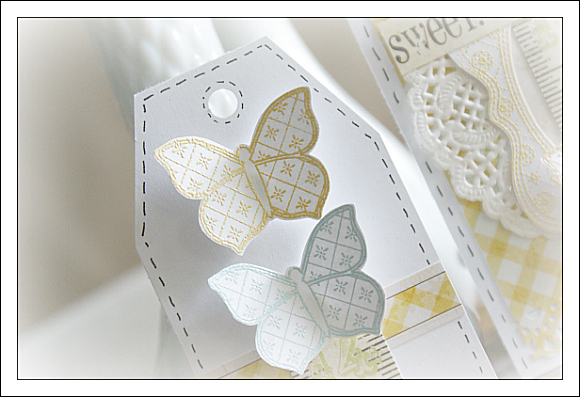 A baby card + tag duo featuring the gorgeous label stamp & precious butterflies! 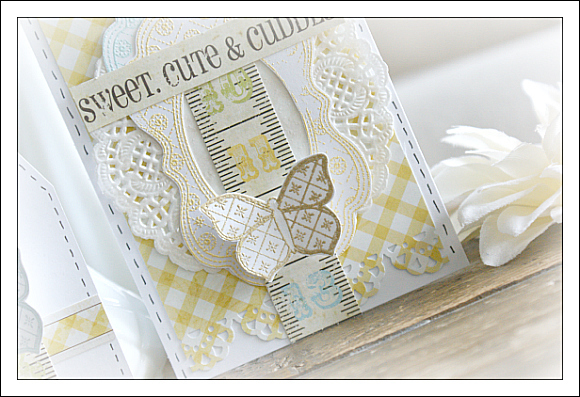 For the butterflies, I stamped onto white cardstock and embossed the butterflies in a tan, yellow and mint color. I thought this pretty Simple Stories paper was just the perfect match, along with this beautiful My Mind's Eye paper. I love all the gorgeous detailing in this stamp set. I think that the embossing really helps to bring it out. Although not on my cards, this stamp set also has many lovely interchangeable sentiments that can be mixed & matched with the darling frames. It is a really versatile set and I can't wait to dig in and play with all the images! 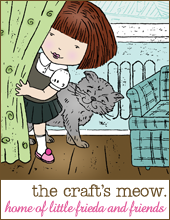 Now that you've seen my creations with these beautiful stamps, let's get to the blog hop details! Firstly, I want to send out a HUGE welcome to Guest Designers Larissa Heskett & Gayatri Murali! This means that you will have two extra stops on the hop! ALL SIX STAMP SETS FROM THIS RELEASE!!!! The deadline to leave comments is June 24th 9:00 p.m. PDT! Also, just a quick reminder that you will be eligible for a FREE stamp set (Summer Fun) with any $50 purchase this month! Now head over to Larissa's gorgeous blog and check out her lovely creations!!! What an elegant card and tag. The subtle colours all blend perfectly and all the tiny details are gorgeous-such patience! Hi Ivana, Awesome card and tag. I love them. Oh, wow! These are so pretty! I love the images you used and the beautiful color combination! I love this card! Would never have thought to use paler colours on frame stamps. Well, you learn something every day. Gorgeous! Love how soft they are and I love the embossing and doily. Wonderful work! Splendid colors! So soft and elegant! Ivana- very cute tag and card. I love it! I have a "thing" for label stamps...SO VERSATILE! And these are SO PRETTY! I, too, love the detail! I also like the doily underneath the stamped images on your card! Very nice! OH, you have combined so many elements so beautifully! Absolutely beautiful!! I commented earlier, but it's disappeared! I love the elegance of your card and tag! Beautifully done! Ohhhh, love this card! So sweet! Your photos are always so pretty! So airy and sweet--absolutely lovely! I love your style, Ivana. The layered card is lovely--sweet and refreshing! WOW!!! this is truly stunning!!! The softness, the colors the mixing of the lines! LOVE it! Thanks for the inspiration! Love the 3-Dness!! Very sweet, and I like the backdrop!! Love your cards!! Is the tape measure image made with a stamp, and if so, which one, or is it printed paper? Thanks for the great inspiration!! wow! the embossing really does make a big difference! so pretty! 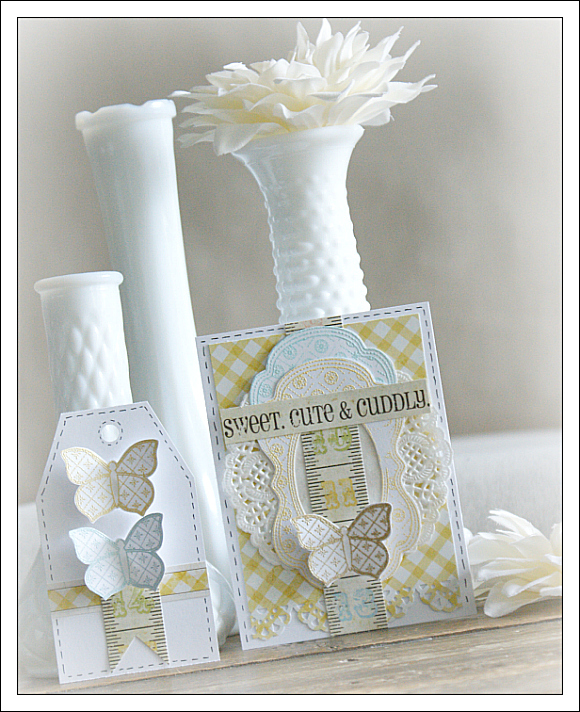 I love the layered labels and the coordinating tag with the butterflies is so pretty! Great set!! Oh, wow! 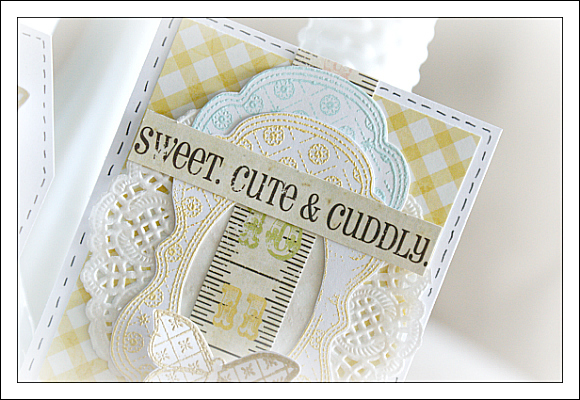 Way to go on creating such a soft and beautiful card and tag--so lovely! 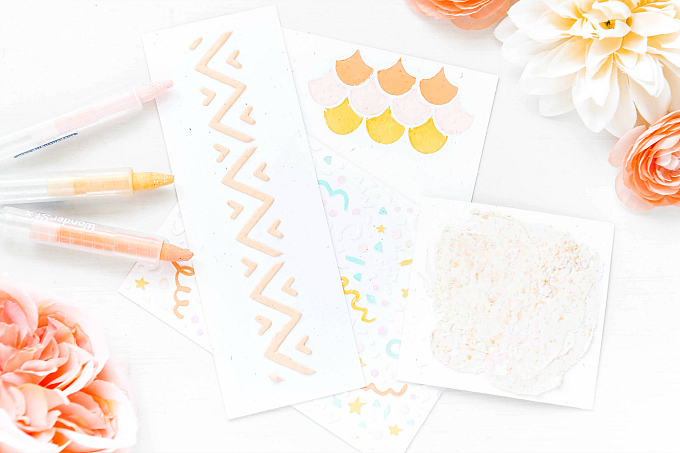 Your style is amazing, and these stamp sets are divine! Very pretty and soft tag and card. Your creations constantly amaze me. You use patterns in such amazing ways!! Thanks. Great design - and you're right, the detailing on the label stamps really looks fantastic when embossed. Nice work! Gorgeous. I love all the muted colors.. Both of these items are absolutely beautiful. One word...... W O W!!!! Absolutely beautiful and elegant at the same time! Love them! Love this card and tag set. So delicate perfect for a baby gift! Stunning! I love the super soft colors!!!! These are so beautiful! I love the way you took the picture! Very precious card and tag! What beautiful creations. Love your blog. always so breathtakingly beautiful, ivana!! Love all the embossing! These are gorgeous!! I love all the yellow! Love the colds! Love the projects!! This month's release is so fun! Especially love the lovely label, so elegant ! So soft and beautiful. I love how you layered the labels! I love all the embossing you have done on both the card and tag. It really brings out the detail in the stamp. Gorgeous colour palette too. "gorgeous" and "precious". Two perfect adjectives to describe your creations. I love this set embossed! love love your card! the embossing of the labels is beautiful. I forget You can turn the labels. Thanks for the inspiration! Your card is so striking! Clean and elegant. Love this look. Who wouldn't? Thanks for the inspiration.